A member of the New York Air National Guards 109th Airlift Wing performs maintenance on an LC-130 ski equipped aircraft at McMurdo Station Antarctica on December 17 2018. 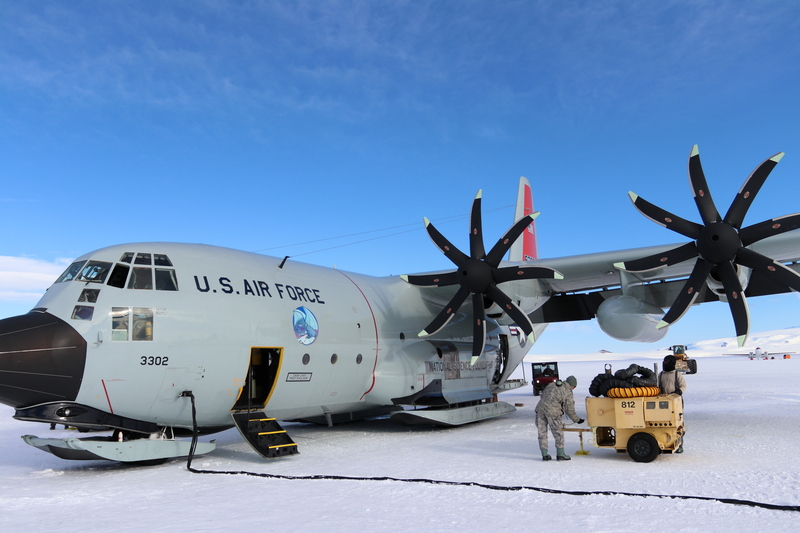 The 109th Airlift Wing provided aviation support to U.S. Antarctic research mission from October 2018 to February 2019 as part of Operation Deep Freeze the U.S. military support to the National Science Foundation. The mission wrapped up at the end of February.